Today, I would like to share my impressions from the Umsetzungsforum Industrie 4.0, which took place ten days ago at the Produktionstechnisches Zentrum Berlin. The event was organized and hosted by Prof. Dr. Henning Kagermann, President of the acatech working group, and Dr. Siegfried Dais, Co-President of the acatech working group and Deputy Chairman of the Board of Management at Robert Bosch GmbH. Many well-known figures from the political and economic scene were also in attendance. The impressive building was a great platform to foster the discussion and reflection about the next revolution in production. Since January 2012, the acatech working group has been analyzing how the Internet of Things can positively affect industry production. I was part of the team with a focus on technology. Based on this research, they have developed work streams for applied research and the industry sector. All results collected over the past 9 months have now been combined into a strategic recommendation. At this event, the strategic recommendations were officially given to Dr. Georg Schütte (Parliamentary Secretary of the BMBF) and Ernst Burgbacher (Member of the German Parliament and Parliamenary Secretary of the BMWi) representing the German Government. 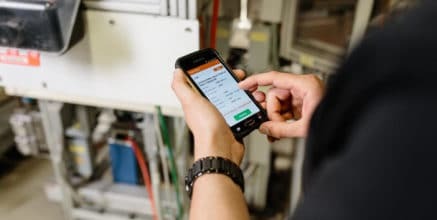 Industry 4.0, a term shaped by representatives of German industry leaders, researchers, industry association, and unions, describes how the Internet of Things will drastically improve the industry’s engineering, production, logistic and life cycle management processes. The number refers to the 4th industrial revolution. Starting in the 18th century, 3 major waves of technical changes modified the industrial landscape and increased productivity. 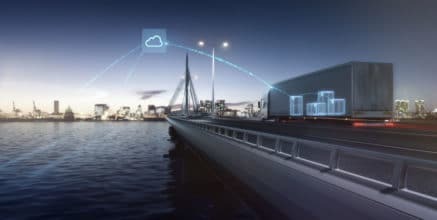 The Internet of Things allows for a new way of organizing industry production: by connecting machines, warehousing systems, and goods, we can create smart production systems that basically control each other without requiring any manual intervention. We have also recently posted a blog article which explains the effects of industry 4.0 and possible scenarios. Why is this topic so important for Germany? 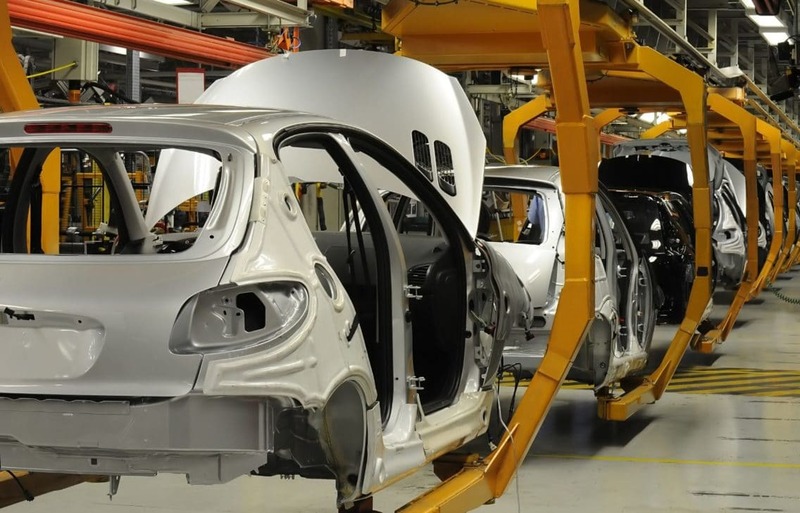 The manufacturing sector forms, with a trade surplus of over 100 billion Euro in 2011, the spine of the German economy and is, among other things, the reason for Germany’s solid position in the global economy. Industry 4.0 offers Germany the chance to maintain this position and allows them to stay competitive. Using smarter production systems, the industry will be able to react to future market trends, such as more individualized and powerful products, while keeping costs at the same level and reducing time-to-market. In my presentation I highlighted the available Internet and Software technology, the German Industry can already apply today by orchestrating business processes. Hence, to connect factories and global value networks (and not value chains) the industry needs an open reference architecture to share data and to connect business process with Service Oriented Architectures (SOA). In order to design and implement such a reference architecture we need companies in multiple domains to agree on it. Therefore, the working group recommended working on this reference architecture and establishing it as a soft-standard in the Internet. For the production industry, the advantage of using a reference architecture is a faster and cheaper integration in the plant. Software companies benefit by being able to offer similar software to a bigger market while the engineering industry benefits by having access to a wider range of software offerings and easier integration with their existing business processes. 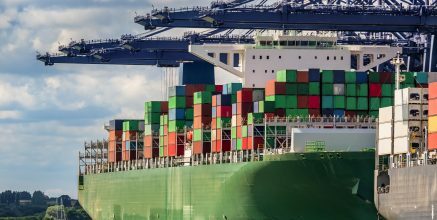 Combining the competence of IT companies with the competence of production and logistic companies will be a key success factor. To reach the Industry 4.0 goal however, we need more than today’s model abstractions for describing and operating machines, logistics, and production lines. “Coding” the production know how with modeling languages is a key and hard engineering job. But I personally think that this challenge of creating information models will attract the best engineers. We just have to give them the freedom to do so. However, Mr. Dais and I did not only talk about future plans but also about concrete steps that the Bosch Group has already taken to realize Industry 4.0 concepts. Attendees had the chance to experience the potential of such Bosch solutions. Bosch Rexroth showcased a Cyber-Physical Production System, which independently controls required maintenance and repair services of 8 machines in the Bosch Feuerbach plant from Berlin or somewhere else in the world. If necessary this Remote Condition Monitoring (RCM) triggers all following processes automatically, e.g. ordering spare parts or informing technicians about further actions that have to be taken. 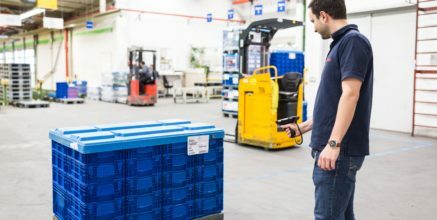 The Bosch Plant Homburg already connects multiple partners in the logistic value chain with a RFID-based Automotive Network. This solution was developed within the “RAN” Project and is in daily operation today. 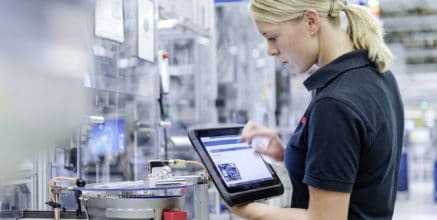 Bosch Rexroth and Bosch Software Innovations are working on solutions to further automate production and manufacturing processes via internet technology based service portals. This event, considering its scope and audience, described what an important role the Internet of Things will play in our future professional and everyday life. As we learned from Mr. Dais, Industry 4.0 is no longer a pipe dream but has already been realized in Bosch’s production plants and will consequently soon affect related companies and sectors. Have you had any first experiences with Industry 4.0 projects or solutions? Which challenges do you see in preparing our industry for such a drastic change? We would love to get your thoughts on that topic! Data is key raw material for Industry 4.0. 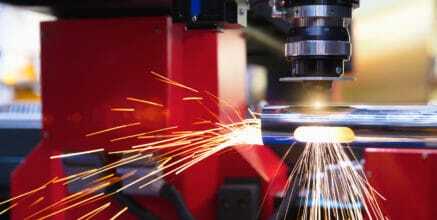 How to become a digital champion in manufacturing. Hi Stefan, I am one of Bosch Malaysia associates. 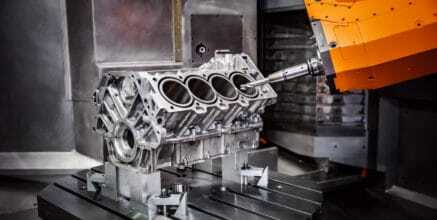 Where can I get clear picture of this Industrie 4.0, where and how I shall start in my plant. Also which device available in the market to make this concept works? Any link or Bosch associates reference may help also. Do you have English version of the industry platform report “Umsetzungsstrategie Industrie 4.0” which is the most recently published paper. Or, do you have plan to translate it? It must be very helpful for our project if you can provide an English version of the report. I am looking forward to your quick response. geschaeftsstelle@plattform-i40.de Maybe they have an English version, but do not provide it publicly, as the website is in Germyn only. The site also includes a link to one of our latest Industry 4.0 white papers. Do you have any report of Industry 4.0 in English?Actually I have a presentation on it and as it is new so i didnt find any papers on internet about this from where I can understand this topic easily.So please help me. We are happy that you found our post helpful. Please find here the direct access to the translated report “Recommendations for implementing the strategic initiative INDUSTRIE 4.0“- it is a PDF download. do you think that Germany is behind the innovation power compared to the USA? What does your company do on this topic? There you can download the pictures from the event and the report. Now we contiune to write the final version of the report until the next Hannover-Messe 2013. This report will focus less on the research and more on the industry related topics. The acatech working group has been analyzing how the Internet of Things & Services can positively affect industry production. I was part of the team with a focus on technology. Based on this research, they have developed work streams for applied research and the industry sector. @Stefan: Thanks a lot for the links. great reference model. I really like the sketching approach, I also try to use it for “future thinking on things” e.g. http://prezi.com/o_baykk9bc3-/internet-of-things-bill-of-rights/. So stay tuned or let’s meet in Hannover next year. Anyway, what I wanted to ask: is the mentioned presentation available online somewhere?